Google’s recent announcement of a new wireless service Project Fi has caused many ripples in the wireless community. Google is known to try and disrupt existing monopoly services by creating competing products. Project Fi is Google’s move to change the way your cell service works. 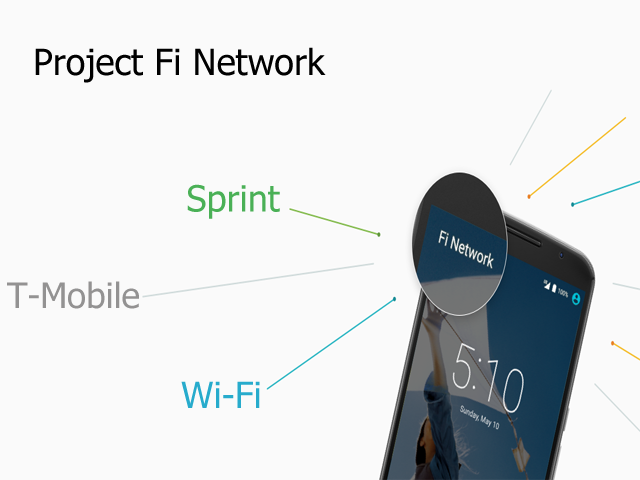 Here is everything we know about Project Fi so far. Project Fi is a mobile phone service currently in the “Early Access Program” stage. The basics of the phone service are as follows. 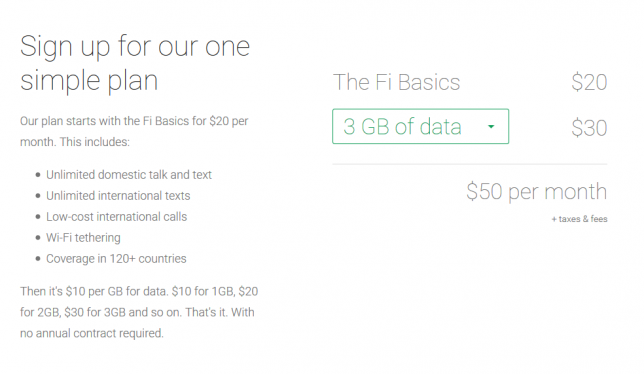 Project Fi offers one simple plan called Fi Basics which includes unlimited domestic talk and text,unlimited international texts, Wi-Fi tethering to use your phone as a hotspot, and access cellular coverage in 120+ countries. This pricing plan is similar to other cell phone services. 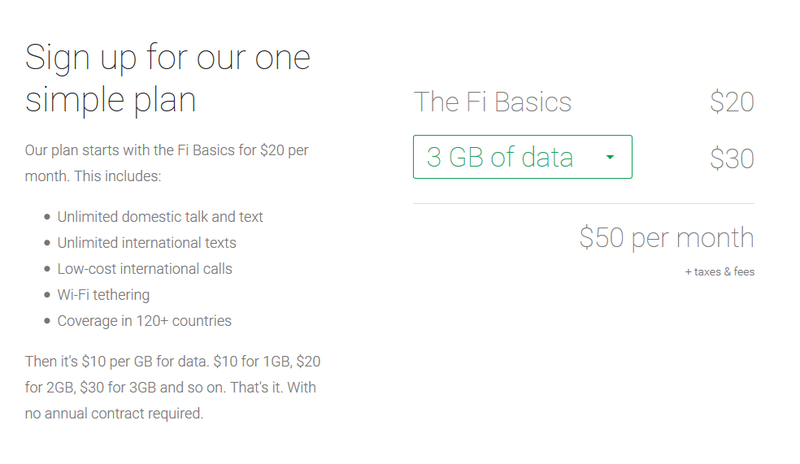 On top of the $20 Basic plan, Project Fi has their data costs based on use. You pay $10 for every gigabyte of data you use in a month. Below is the layout of the price you would pay for Project Fi. The pricing for Project Fi is not very different from some other cell phone services available. Depending on the amount of monthly data you use it can save you money month to month. Another important feature of Project Fi is you only pay for the data you use in a month. And unlike other mobile services Project Fi will break down your monthly data use by 100 MB. So if you pay $20 for 2GBs of data and only use 1.5GB during the month you will be credited $5 for the 500MB you did not use in the month. And if you use more data in a month you will just have to pay for the additional data you used, without paying any fees. To offer the Project Fi service Google is partnering with both Sprint and T-Mobile to use their cell phone towers for the Project Fi network. Along with both cell networks Project Fi will also access more than a million free Wi-Fi hotspots throughout the world. Project Fi will be setup to use both the cell networks of Sprint and T-Mobile and open hotspots to provide you coverage. The service will automatically switch between the cell service on Sprint or T-Mobile and wireless seamlessly to provide you will the fastest and most reliable wherever you are. No matter what network you’re on Wi-Fi or cellular, Google will let you make calls, stream media, browse the Web and use apps. Another feature of Project Fi, you can also make and answer calls using your phone number on any of your devices, including a PC or a tablet. To ensure security Google will automatically encrypt your data when you connect to an open Wi-Fi network. If Project Fi sounds interesting to you so far then here is how you can get the service. Right now Google’s Project Fi will only work on a Nexus 6 phone. This may be disappointing but Google has started this as a project and hopefully as it gains users Google will open it up to other handsets. If you have a Nexus 6 device and you want to get Project Fi then you should head over to Project Fi site and sign up for the Early Access Program. If you are lucky and have service in your area you will be invited into the Project Fi service. So that is everything we know about Google Project Fi. It definitely has the possibility to change up the wireless service market. Even though it is limited with only supporting the Nexus 6 device and only available through the Early Access Program. 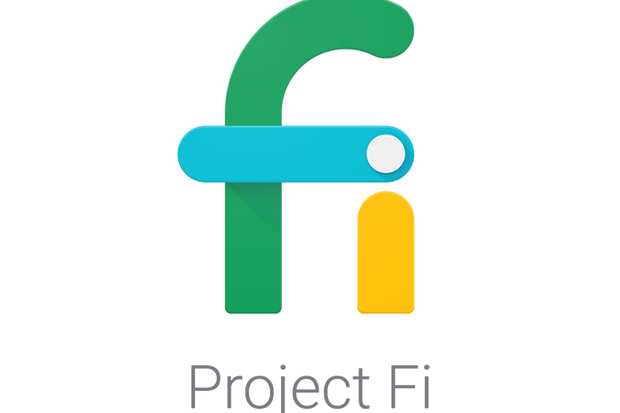 Google Project Fi may lead to a complete change to the wireless carrier service. I think everyone will be watching to see how successful Project Fi will be among consumers, and if there wireless switching works seamlessly. So what do you think about the Google Project Fi announcement?